Forget Lego Harry Potter and Lego Star Wars, the popular building block franchise needs to take on the blue bomber instead. 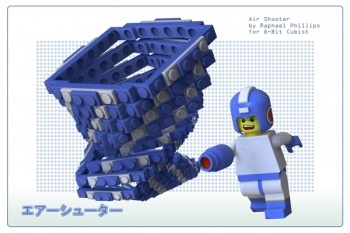 After seeing these images of Mega Man rendered in Lego, I'm thoroughly convinced that Traveler's Tales needs to be banging on Capcom's door and vice versa. Depicting Mega Man in the various suits you may see him wear in Mega Man 2, they're quite awesome. 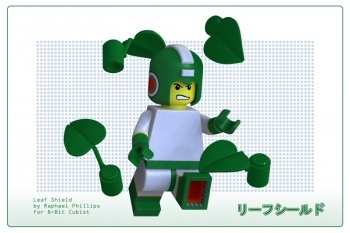 They've all got the distinct style of Lego in every way, from the connectors coming out Wood Man's Leaf Shield to the simple but expressive Lego person faces Mega Man is making. Phillips completed the looks of all eight Mega Man 2 bosses and even did a rendering of plain flavored Mega Man, if you're a purist. Well, what are you waiting for Phillips? Do the rest of the Mega Man boss powerups now. You have until tomorrow at sundown. 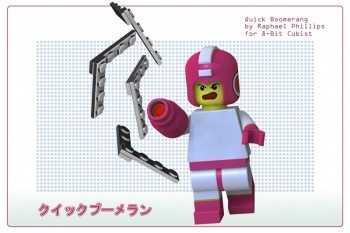 And while you're at it, make sure Traveler's Tales gets these images so it can get started on Lego Mega Man right away.